This sturdy 14oz. 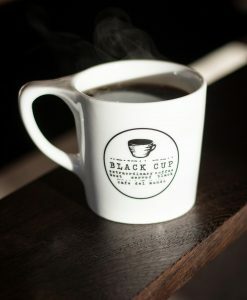 ceramic diner mug has our Black Cup logo sandblasted into the exterior. 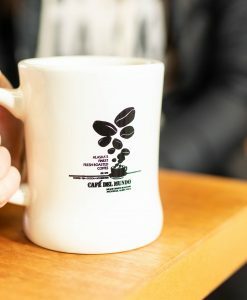 For those of you who like heavy, durable mugs this one’s for you.